Isn't it easier to learn something new when you can relate it to something you already know or have experienced? At the Center for Educational Technologies® we think so. We also believe students might stand a better chance of learning difficult science concepts applying that same approach. We use that theory to design instructional videogames. 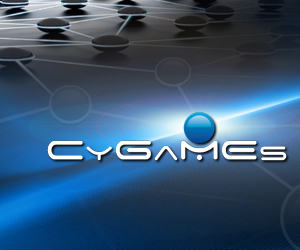 Our research project is called CyGaMEs. That stands for Cyberlearning through Game-based, Metaphor Enhanced Learning Objects. The National Science Foundation funds the research. The goal is to measure how an instructional videogame that incorporates metaphors and solid instructional design principles can help players more easily grasp difficult science concepts. We're using a videogame we've already created to help in our research. Selene: A Lunar Construction GaME, is a prototype online videogame in which players learn how Earth's moon was formed as they create their own moon and then pepper it with impact craters and flood it with lava flows. We're looking for players between the ages of 13-18 along with adult recruiters to confirm players' ages, get parental consent, and gather other players. To learn how to sign up as a recruiter or play Selene, visit the Selene website. How can I incorporate Selene in my research? Current NSF funding allows us to make Selene available to a limited number research partners studying learning and assessment with game-based environments. How can I evaluate and incorporate instructional games into my classroom? CyGaMEs provides in-service and pre-service training for educators in theory and practice of integrating game-based technologies within instruction. How can I measure learning in game-based environments? CyGaMEs trains designers, developers, and researchers in CyGaMEs techniques for design, implementation, data analysis, and reporting. Visit the CyGaMEs website and contact us.